Taipei, June 30 (CNA) With huge demand for skin dressings for the nearly 500 people injured in a fire and explosion at a water park in New Taipei late Saturday, Taiwan's organ center called Tuesday for urgent donations of cadaver skin. 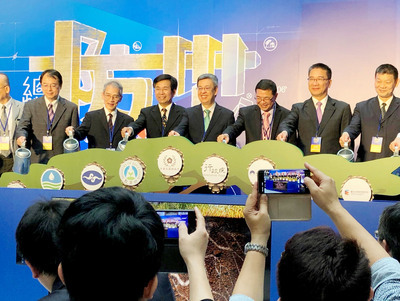 There are just 115 rolls left in Taiwan's cadaver skin stocks, with each roll measuring 10 x 20 centimeters, Taiwan Organ Registry and Sharing Center Chairman Lee Po-chang (李伯璋) told the media. "The supply is not sufficient," even if all the skin stocks are used on the explosion victims, Lee said. Families in Taiwan tend to be less amenable to donating skin from their departed loved ones compared with other organ donations, as removing the skin leads to an unsightly corpse, according to Lee Jing-wei (李經維), head of the Division of Plastic and Reconstructive Surgery of National Cheng Kung University Hospital in Tainan. Meanwhile, Food and Drug Administration Director-General Chiang Yu-mei (姜郁美) said that through the Ministry of Foreign Affairs, the health authorities have accepted the Euro Skin Bank's offer of donated skin, which will be imported from Holland. Lee said cadaver skin contains active bio-substances that are more effective in blocking burn wounds from contamination sources and promoting skin regeneration than hog skin or synthetic skin, which are also used for burn victims. On the third day after the accident, there were 434 injured people still being treated at various hospitals around the island. Among them, 240 with severe burns were still in intensive care wards, according to statistics compiled by the Ministry of Health and Welfare. The disaster, the worst of its kind in Taiwan, occurred when colored cornstarch powder exploded and burst into flames at a Color Play Asia party held at Formosa Fun Coast Water Park (八仙樂園) in New Taipei's Bali District June 27.